Since I was a teenager, I’ve had fairly good skin. Sometimes it does get a little oily, but it hasn’t been that difficult to deal with. I also never really wore base or foundation. 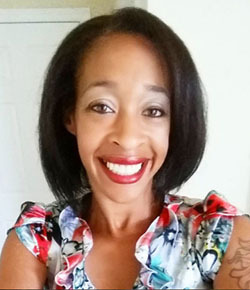 As I’ve gotten older my skin has changed, so I’ve tried as many skincare regiments as possible to keep my skin healthy and glowing. I’ve tried some products that have too much oil in them, so my face broke out. Some products dried my skin out and others completely burned my skin (you know, leaving me with an unsightly red mask all over my face). I have found one product that actually works on my face to give it a good deep cleaning and to keep it soft and moisturized. You know I’m a do-it-yourself type of girl, so I wanted to make my own. It took me awhile to figure out the right mixture to use for my skin, but once I found it, I’ve been using it since. 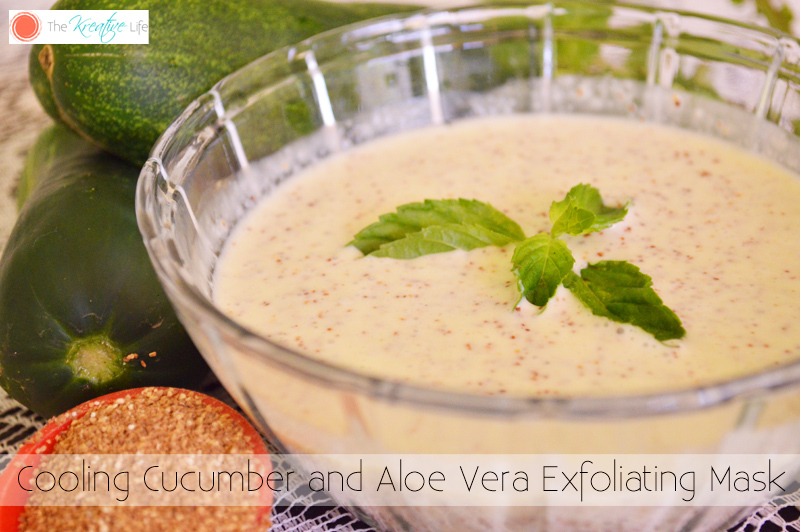 This cooling cucumber and aloe vera exfoliating face mask has helped to keep my skin glowing and clean. I use it twice a week and it’s worked wonders. Enjoy! 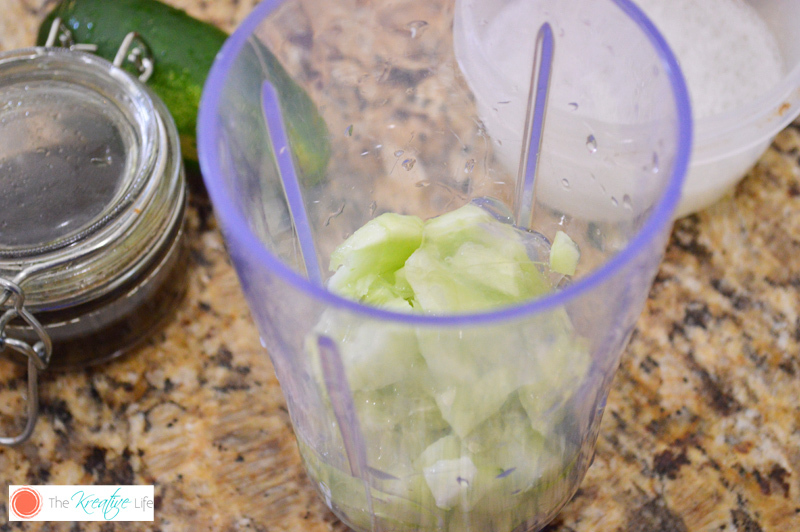 Place all ingredients in a blender and mix until smooth. Make sure the apricot shells are evenly distributed. To use: Gently apply in even circular strokes. Allow the mask to set on face for 10-15 minutes. Remove mask with a warm, wet face towel. Store mask in an air tight container in the refrigerator. Make sure to use within seven days. This looks like something I need to try! It sounds like it would be very nourishing to the skin! Hi, Margarita! It is very nourishing! Love at home tutorials using things you already have. I think they are the best! Thanks for reading, Justine! I haven’t tried any face masks before! I should try this one! You would love this one, Britney! Oh this looks so nice and refreshing! Hi, Emily! It’s so refreshing! You definitely have lovely skin! This looks like a fun idea for a girls night in! Thank you so much, Michelle! Yes, it’s perfect for a spa evening! I love using natural items much better than chemical laden ones. I’m going to have to try this! Hi, Barb! I hope you like it! Hi, Meagan! It’s a lot cheaper than going to the spa and you know exactly what’s going on your skin. I am always on the hunt for a new and invigorating exfoliant! Thanks for sharing–pinning for later! Thank you for the pin, Cathy! What a great idea and love anything that can help my skin appear healthier looking! Oh this looks awesome! I want to do this! That looks super refreshing and nourishing! I will definitely have to repin this for later. I love my skin care products, but they’re a bit costly! This looks like a much more affordable solution for maintaining a healthy glow! I had never thought of making my own face mask! What a great idea. Thank you for sharing. 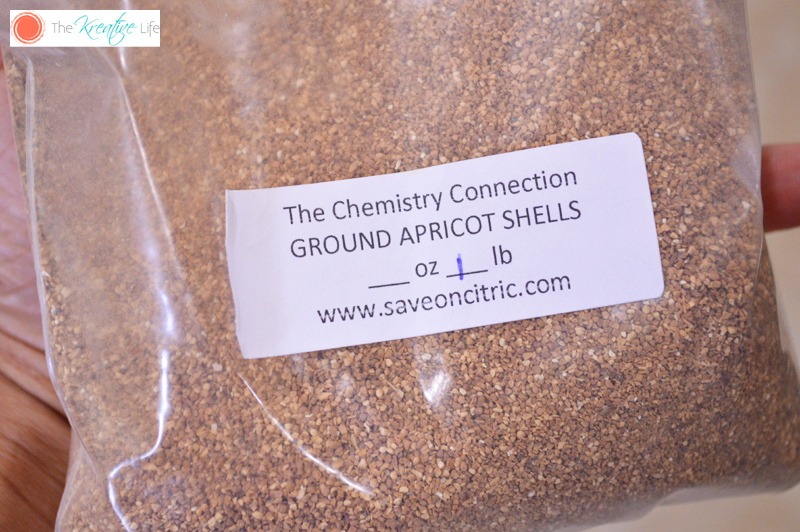 I’ve never seen ground apricot shells before, I bet they make a great exfoliator! This completely reminds me that I need to do a face mask ASAP. It’s been several months. I might not do this specific one because you have a lot of ingredients going on over here and it looks like it requires more work. I like a shortcut approach. I don’t know how you can find time to do a mask 2x a week! WOW!